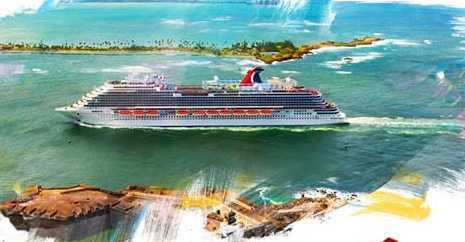 Carnival Cruise Line has teamed up with Michaels to brings you the Carnival Michaels Sweepstakes where they will be awarding five cruises Carnival e-Gift Card worth $1,500 to five lucky winners. How To Enter: Go to this link:www.carnival.com/michaels during the sweepstakes period and follow the online instructions to register by entering all information requested on the registration form and once you filled out the entry form now Click on the submit button to complete the registration form. Prize: There will be total five (5) lucky winners in this Sweepstakes, Who could receive $1,500 Carnival e-Gift Card each. Total ARV of all prizes is: $7,500.!! When To Enter: This sweepstakes entry begins at 12:00 A.M. ET on January 23, 2019, and all entries must be received by 11:59 p.m. ET on April 30, 2019. Who’s Sponsor: The Sponsor of this Sweepstakes is Carnival Cruise Line, a division of Carnival Corporation, Carnival Place, 3655 NW 87 Avenue, Miami, FL 33178-2428.